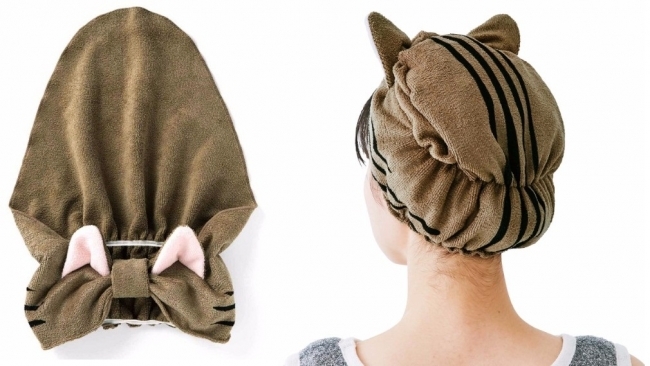 Get out the tub and join the cat club with Felissimo’s Cat-Ear Turbans! 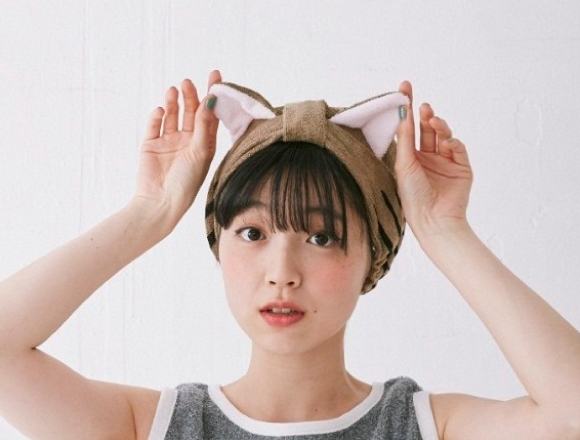 On 7th July, Felissimo Nekobu (Felissimo Cat Department) released a new turban on their online shop…but this hair turban is decorated with cute cat ears! The “Narikiri Nyanko Kyuusui Sokkan Nekomimi-tsuki Ofuro-agari Turban no Kai” is quick to dry and super absorbent. Put it on as you leave the tub and join the cute kitty cat ears club! Fresh out the shower or bathtub, wrap your hair in this absorbent and quick drying hair turban. With your new cat ears pricked up, enjoy a little you time to care for your body and freshly cleaned skin. The absorbent material of the turban will quickly dry your hair. As the material dries quickly, you can put your hand in the soft material and play with the cat ears after your hair is dry! ♪The turban also covers the hair on the back of your head, so you don’t have to worry about the unpleasant feeling of wet hair against your neck! How do you wear it? Put the turban on your neck and put all your hair over it. Then, holding the front of the turban only, pull the turban to the top of your head. Finally, lift up the turban and your hair bundle and tuck in the flap – simple! The turbans come with a guide showing you how to wear the turban with illustrations, so if you’re a first time user, you can easily wear it too! 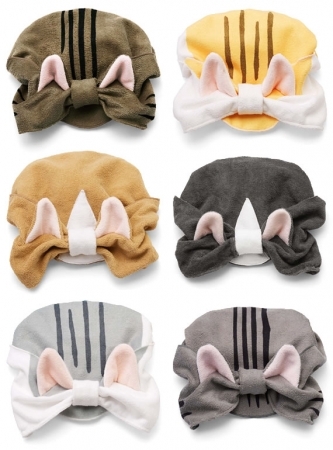 There are 6 designs of turban – make bath time fun with these cute cat ears! ・The turbans will be sold in a monthly cycle where each month only one of the six varieties of turbans will be sold. After the second month of the cycle, it is possible for the order of the delivery of the turbans in the cycle to be changed. Related article：Catch a momentary glimpse of the “cat pads”♡　“Cat paw-padded socks” will be released.